Since 1981, Malleefowl have only been recorded in about half of the one-degree grid cells in which they were previously recorded, suggesting a marked reduction in the distribution of the species. Also, declining abundance of Malleefowl in reserves has been observed. Clearing of the mallee scrub for wheat and sheep production has been the major factor in the decline of Malleefowl in southern Australia, and this was forewarned by some of the earliest writers on Malleefowl, Campbell in 1884 & 1901, Mattingley in 1908, Bellchambers 1916 & 1918, Barrett 1919, Chandler 1934. The best habitats for Malleefowl tended to be on the more fertile soils that received relatively high rainfall, but these have been almost entirely cleared. Overall, up to 80% of the wheat belts have already been cleared. This clearing has not only removed Malleefowl habitat, but also threatens remaining habitat due to fragmentation and dryland salinity. Habitat remnants, where they exist within the wheat belts, are often very small and isolated. The larger remnants occur typically in areas unsuitable for agriculture and are often of marginal quality for Malleefowl. Clearing continues to be a threat to Malleefowl populations outside reserves, even though controls on the clearing of mallee on private land have been imposed. Malleefowl are protected in every state in which they occur and clearing applications are unlikely to be granted for areas where existing populations are known. However, the only criterion for which a site's importance for Malleefowl conservation can be assessed is currently the obvious presence of the birds. Given that Malleefowl are elusive and rare, their presence may easily be missed. Areas of suitable habitat in which the birds have become locally extinct are not adequately protected. This is especially important in regard to fire which may remove Malleefowl in the first instance but from which the habitat completely recovers provided it is not heavily grazed. 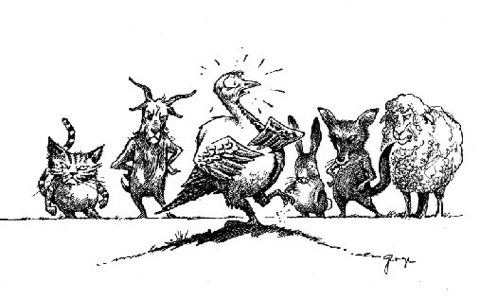 Large numbers of feral goats are known to occur in some areas that are important for Malleefowl conservation, and constitute a similar or greater threat to Malleefowl than sheep. This is particularly the case in eastern Australia north of the Murray River where some of the highest feral goat densities are found in reserves that support Malleefowl. Wildfire, where extensive, continues to be a major threat to the conservation of Malleefowl. Populations of the birds may suddenly be eliminated from areas that are burnt and even if there are nearby sources of recruitment, recovery in the burnt area to breeding densities before the fire appears to be very slow and requires 30 to 60 years. Habitats much older than 30 years post-fire are rare in eastern Australia. 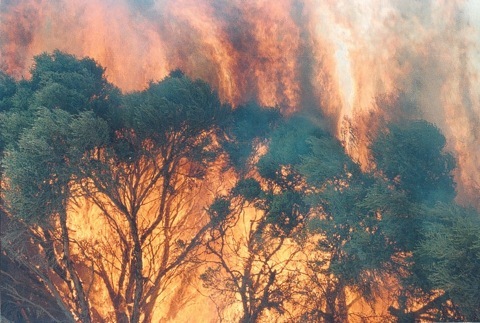 Conservation reserves should ideally be large enough to allow for large-scale disturbance such as fire, without the entire area being affected. However, the potential scale of fire in mallee habitats suggests that even the largest reserves may be entirely consumed by a single fire. In some states that support Malleefowl, intentional broad-scale burning is practised. Frequent burning may more than double the productivity of pastoral mallee habitats for sheep, and for this reason has been promoted. Intentional broad-scale burning has also been advocated as a means of producing permanent habitat change in mallee, to reduce tree and shrub density and benefit sheep grazing. Where such fire frequencies are employed, Malleefowl populations are likely to be greatly reduced or even eradicated. Foxes are known to prey upon Malleefowl of all ages, and have been considered the major threat to the conservation of the birds. While there is little evidence so far that reducing fox numbers increases Malleefowl breeding densities, foxes clearly pose a demonstrated threat to Malleefowl and reducing them is likely to be beneficial in the long term. Malleefowl are highly resistant to 1080 poison and it is unlikely that ingesting any number of fox baits could harm them. Foxes are not the only ground predator of Malleefowl, and the nature of the relationship between foxes, cats and dingoes/dogs is also relevant in areas where all three usually occur. There is increasing evidence that interactions occur between these predators in many arid areas and that foxes suppress cat numbers, and dingoes suppress both fox and cat numbers. 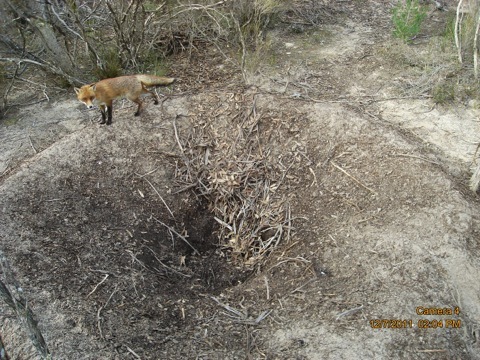 Foxes are probably the most efficient predators of Malleefowl and baiting can efficiently reduce their numbers. However, this also reduces dingo numbers and may result in significant local increases in cat numbers and/or activity for which there are as yet no efficient control measures. Raptors are also known to prey on Malleefowl. There is no information on disease in wild Malleefowl populations although the species is susceptible to a range of common diseases in captive situations and may also be susceptible to exotic diseases. This is an issue in programs where Malleefowl are released following a period in captivity, especially in a zoo situation, and also where domestic fowl and pheasant farms are located near areas occupied by Malleefowl. Before European settlement, mallee habitats were extensive and nearly contiguous across Australia and surrounded by other habitat types that harboured Malleefowl. However, clearing for agriculture has resulted in fragmentation of the remnant population into a large number of small populations with little opportunity for dispersal between them. Small and isolated populations are especially vulnerable to local extinction by a range of processes that may deplete the number of individuals or degrade the overall fitness of each population. Also, populations in low quality habitats may have always depended on immigration from surrounding areas, and once isolated from these better quality areas may be unable to sustain themselves.